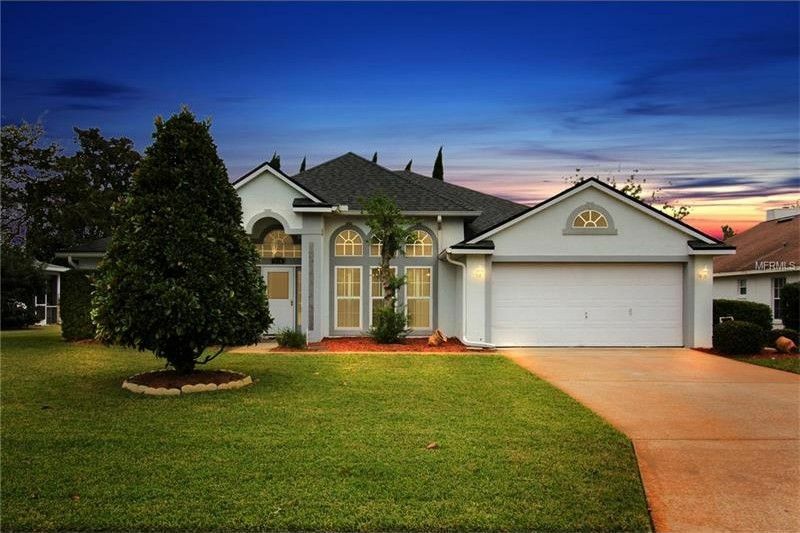 I am a spacious 3 bedroom pool home located in the highly sought after neighborhood of DeBary Woods complete with an INTERGATED GENERATOR. I have had one owner and it shows. Open the door and to the left is my formal living room, currently being used an office, but with the private doors it is a very flexible space. Off to the right is my formal dining room that is divided with a fireplace that can be enjoyed from both the dining room and the open, vaulted ceiling family room. The family room adjoins the kitchen to make a spacious great room. Did you notice the breakfast nook where you can enjoy a window view of the pool while sipping your favorite blend of java. Have guests? Line them up at the breakfast bar and serve them your favorite omelet, pasta creation, or just enjoy a comfortable seat and a sandwich. Enjoy this flexible space however you choose, you are limited only by your own imagination. I have volume ceilings that give a spacious feel and through the sliding glass doors and into my comfortable lanai that begs for bare feet and a drink with an umbrella. Did I mention my split plan? Now there's privacy! My master bathroom offers walk in closet, private toilet, dual sinks, huge garden tub & large separate shower. Bathroom #2 offers access directly to the lanai for days you are enjoying the pool no dripping water through the whole house! Covered patio that is screened in and the fully screened pool, did I mention the pool? BBQ? Summer days? The Options are endless to enjoy. Driving Directions: N on Highbanks L onto Hollow Pine, R Needlewood Loop, L on Blossomwood, home is 2nd on right.